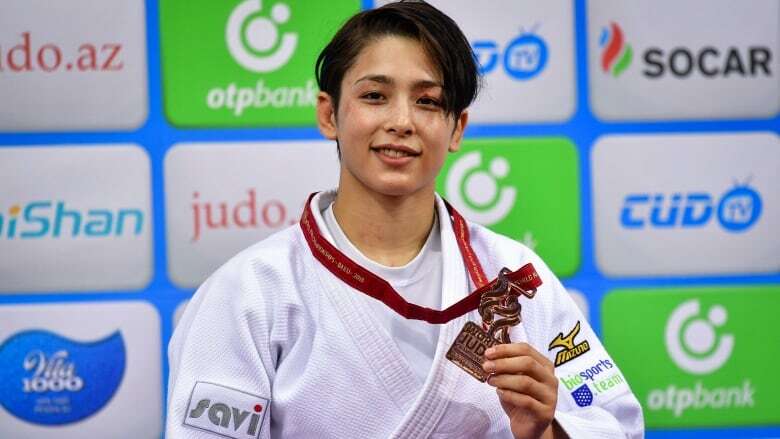 Canada's Christa Deguchi will return home with a gold medal after her victory in the women's under-57 kilogram division at the International Judo Federation Grand Slam event in Ekaterinburg, Russia. Deguchi won her final match quickly against Chinese Taipei's Lien Chen-Ling, with ippon in just 71 seconds. Jessica Klimkait of Whitby, Ont., took bronze in the same division. Three other Canadian judoka also captured bronze medals— Toronto's Shady El Nahas (men's under-100 kg), Etienne Brand (men's under-81 kg), of Sept-Îles, Que., and Catherine Beauchemin-Pinard (women's under-63 kg) of Saint-Hubert, Que. The next international judo event is a Grand Prix set for later this month in Tbilisi, Georgia.